There are successful DJ’s like Ryan Seacrest, Casey Kasem, and Rick Dees. There are artist managers who take unknown personalities and make them big stars. There are concert promoters like Live Nation and AEG. There are TV producers who are known within the industry and there are TV personalities like Tom Bergeron, Bob Barker, and Pat Sajak. There are people who have won multiple Emmy’s, and there are people that have a star on the Hollywood Walk of Fame. But only one person, in the entire entertainment industry, has done it all – Bob Eubanks. He was one of the top Rock and Roll DJ’s in Los Angeles at the number one radio station for seven years. In 1972, Eubanks entered the world of country music. He became the exclusive promoter for country star Merle Haggard for ten years. During that time he also managed and crafted the careers of Dolly Parton, Barbara Mandrell, and Marty Robbins. Eubanks is one of only three individuals to promote the Beatles Concerts, all three years they toured in America. He also produced some of the biggest concerts ever which included The Beatles, The Rolling Stones, and Bob Dylan just to name a few. He was one of the top TV producers, having produced network and syndicated game shows and variety TV. He hosted some of television’s most successful daytime programs, such as The Newlywed Game and Card Sharks. He is the only game show personality to host the same format with original programming for five decades. TV Guide named him one of the top five Game Show Hosts of all time. He’s won 8 Emmy’s, including a lifetime achievement award and became the last person to receive a star on the Hollywood Walk of Fame in the twentieth century. Yes, he is one of a kind! 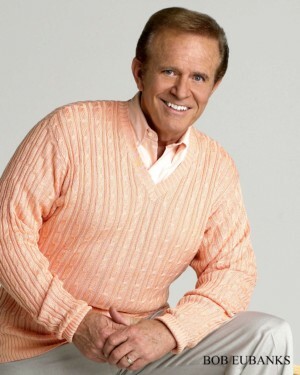 Currently Bob Eubanks, host of the Newlywed Game, is a highly demanded Keynote Speaker to corporate America. Speaking to such companies as Southwest Airlines, John Hancock Insurance, & Wells Fargo Bank just to name a few. Eubanks shares his unique business philosophy to corporate America, which has made him one of the most successful entrepreneurs in the entertainment industry. Each year Bob can be seen all over the world hosting the Emmy Award winning coverage of the Tournament of Roses New Year’s Day Parade for Tribune Broadcasting and the Hallmark Channel. His ratings usually are double the other channels combined. In 1964, 1965 & 1966 Eubanks produced The Beatles concerts at the Hollywood Bowl and Dodger Stadium. This was the beginning of a 20-year concert promotion career that made him one of the largest concert promoters in America. Oh and by the way… he’s a heck of a cowboy! I guess he really is ONE OF A KIND! o	Why did you get into so many businesses? o	What has been your favorite project? o	What advice would you have for people wanting to get into show business? o	What was it like to work with The Beatles? o	Who was your favorite act to work with? o	Who was your least favorite act to work with? o	What is the most important thing in your life? Bella Vita Events was created and founded by CEO, Deborah James, to partner your dream and our expertise, making you a guest at your next beautiful life event. Deborah is one of the most respected event producers in the U.S. Her production quality is beautifully polished because she possesses that “big picture” vision – honed from years of success as a producer and performer in an entertainment field that’s included music, tv and film. 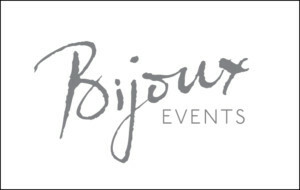 Bella Vita Events, which is a member of ABC and ISES has received numerous industry accolades, and has been featured in Grace Ormonde, Inside Weddings, Your Wedding Day, Los Angeles Weddings, Ceremony and Santa Barbara Magazine, Deborah is a certified event specialist from Independent Wedding Consultants of America (IWCA). 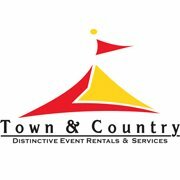 Deborah has a meticulous eye for detail, and she’s renowned for her gracious, professional demeanor with over 12 years of event experience. From weddings to intimate soirees to movie industry galas and everything in between, celebrations planned by Bella Vita Events have a grace and flair that colleague and clients describe as flawless. Deborah James is one of the most respected event producers in the U.S. Her production quality is as polished as it is because she possesses that ‘big picture’ perspective – honed from years of success in an entertainment career that’s included music, television and film where she’s produced and performed. Bella Vita Events is the perfect pinnacle of Deborah’s career. Bella Vita means beautiful life, and that’s what Deborah and her talented team manage to evoke in every event. Deborah has received numerous industry accolades, and she’s been featured in Inside Weddings, Your Wedding Day, Los Angeles Magazine and Ceremony. She’s a member of ABC (American Bridal Consultants) and a certified event specialist from Independent Wedding Consultants of America (IWCA). She leads with a director’s big picture vision, a meticulous eye for detail, and she’s renowned for her gracious, professional demeanor. From weddings to intimate soirées to movie industry galas and everything in between, celebrations planned by Deborah have a grace and flair that colleagues and clients describe as flawless. 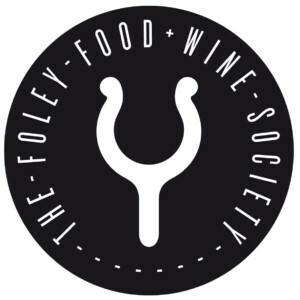 • How did you get in to this business? • Training for the business? • Most unusual situation at an event? • Have you been humbled or learned anything from a particular event? • Who are your mentors? • What do you still want to accomplish? 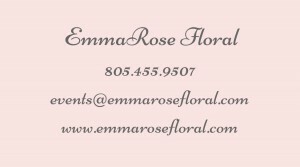 EmmaRose Floral will provide custom floral arrangements for private venues, weddings and events, in addition to providing floral direction for photoshoots, and estate floral arrangements. Emma’s passion for flowers started at a very young age. As a girl, she used to explore the neighborhood picking the neighbors’ flowers and creating arrangements for her mother. It didn’t occur to her that she could make it her full time occupation. ‘I was in corporate technology sales for ten years and did well at it, but I was not passionate about it,’ Emma points out. The concept of becoming a full time florist just seemed right; and the timing lined up perfect with Emma’s move back to Santa Barbara after a long time away living in her native state of Georgia. 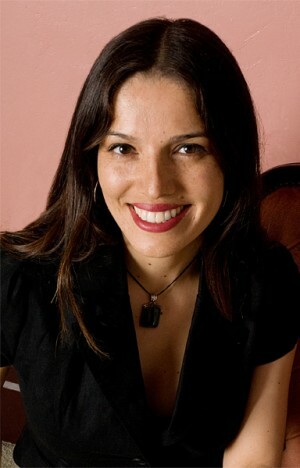 Her focus is a commitment to the highest quality and design through unwavering attention to detail. Apprenticing under a top local florist / designer, Emma has had the opportunity to refine her God given talent and compete with the best in the business. When Emma is not designing she spends her time with her 3 dogs hiking Santa Barbara’s local trails and beaches.